Club Penguin Cheats by Mimo777 Club Penguin Cheats by Mimo777: Club Penguin Has Sent Us A New Spy Phone Message! 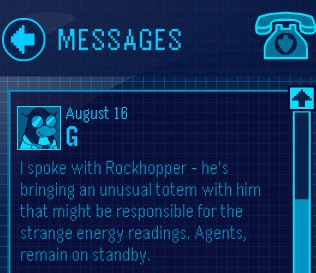 Club Penguin has sent a us a new spy phone message from G! What is your all time favorite CP field op mini game!? Nobody has mentioned the machine sounds in the underwater room, the one you need a key to open the door. If you go in there and turn your sound up, you can hear it pulsing. I <3 that one too.